PHOENIX, ARIZ. - The national law firm of Quarles & Brady LLP announced that Tampa partner David A. Beyer and Phoenix partner Jeffrey H. Wolf have been named Legal Eagles for 2013 by Franchise Times magazine. Both partners also were listed in the first-ever Legal Eagles Hall of Fame, featuring 45 attorneys appearing on the list for the 10th year in a row. Legal Eagle honorees are attorneys who are viewed as the best franchise lawyers, at the top of their games, nominated by their peers, clients and the Franchise Times' editorial board as the rainmakers, go-to lawyers and ethical problem solvers in the franchise community. They speak at industry events and legal symposiums, win court cases, write seamless contracts and documents, and otherwise meet the evaluation criteria of the Franchise Times editorial panel. This year, 154 lawyers in the U.S. were named and will be featured in the April issue of Franchise Times magazine. Beyer is a member of the Quarles & Brady Franchise & Distribution Group, in the firm's Tampa office. His practice concentrates on organizing and structuring franchise and other distribution programs; negotiating and preparing complex franchise, sub-franchise and distribution agreements; and representing franchisors and subfranchisors in compliance with franchise disclosure and registration laws. He also represents franchisors on technology-related issues, including website development, e-commerce, cybersquatting and channel conflict. Beyer was named one of Florida's Legal Elite by Florida Trend magazine and has been selected consistently for several years for inclusion in the International Who's Who of Franchise Lawyers by Who's Who Legal, The Best Lawyers in America® and Florida Super Lawyers® lists. 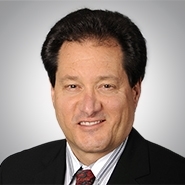 As a leader in the development of franchise law in Florida, he has served multiple terms as chairman of the Franchise Law Committee of The Florida Bar. Beyer earned his law degree from Vanderbilt University Law School and his master's and bachelor's degrees from Tulane University. Wolf also is a member of the Franchise & Distribution Group, in the firm's Phoenix office. His national litigation practice focuses on representing franchisors in complex cases, including the defense of class actions. For more than 20 years Wolf has handled a variety of franchise litigation cases involving terminations, transfers, rights of first refusal, the implied covenant of good faith and fair dealing, trade secrets, trademark infringement, franchisee associations and unfair competition. Wolf was selected as an Arizona's Finest Lawyer in 2011 and has been named to the International Who's Who of Franchise Lawyers by Who's Who Legal, The Best Lawyers in America® and Southwest Super Lawyers® lists consistently for several years, and was named by Southwest Super Lawyers® as one of the Top 50 attorneys in Arizona in its 2012 edition. Wolf earned his law degree from Washington University in St. Louis and his undergraduate degree from the University of Hartford.